Researchers using UD’s community clusters have requested more frequent meetings to share information with each other and to discuss use of the clusters with IT staff. The series will consist of an HPC symposium on the fourth Wednesday of February, June and September. All symposia are designed for those researchers using or interested in using the University’s High-Performance Computing (HPC) clusters. The February and September symposium will begin with a one hour invited talk by a University research group about what they are accomplishing on the community clusters and conclude with a one hour open forum for researchers and IT staff: questions, answers, brainstorming, sharing. The June symposium is a poster session for research groups to highlight their research and how they are using cluster computing locally or nationally. 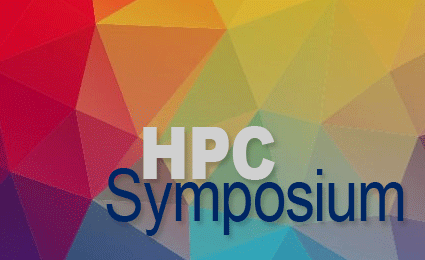 Please contact us if you are interested in presenting at one of the open HPC Symposium scheduled dates. Lentiviruses like HIV are characterized by their ability to infect non-dividing cells. Therefore, during the early stages of the viral infection, HIV’s genome must move through the cytoplasm from the cellular membrane all the way to the cell nucleus. In addition, the viral RNA is reverse transcribed into DNA inside of the viral capsid for proper genome integration. Here, we present our computational approach to elucidate, at the molecular level, the host-pathogen interactions that modulate the viral particle trafficking through the cytoplasm. In addition, by employing large-scale computing based on multi-replica simulations, we establish the energetics associated with viral RNA reverse-transcription. Lastly, we introduce a novel multi-scale framework which enables the determination of the atomic structures of capsid assemblies based on cryo electron-tomography. Importantly, our approach relies on current petascale supercomputers to reveal the molecular details of biological events which occur on the second time-scale and span over several micrometers in magnitude – the latter involving systems containing multi-million atoms. IT Research Computing is hosting a poster session showcasing different research across campus that is being done using high performance computing. All research groups are invited to submit posters for projects on any HPC resource, including Mills, Farber, XSEDE clusters, department clusters, and clusters at other institutions. Researchers are welcome to bring an existing poster or create a new poster. New posters can be printed through IT Client Support & Services in Smith Hall. Those who register to present a poster at the symposium will be able to print their poster for free before Friday, June 22. Documentation for poster printing is available at the IT web site. To sign up to present a poster and/or receive assistance with your poster, please go to the poster signup page to reserve your spot. 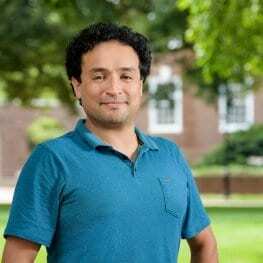 All UD researchers are encouraged to attend to learn about other projects going on at the University and to connect with colleagues about high performance computing.